Whenever I peruse the historical fiction section of a bookstore, or the historical flicks that make their way through theatres, a question circles back to me: Why have such a wealth of films and historical fiction been set in the World Wars? Out of the thousands of years of global history at our disposal, why is our entertainment so often set in this specific moment of Western history? What draws out these stories? The historical proximity of such cataclysmic events? That we still live in the political and cultural atmosphere they catalyzed? That we grew up hearing the stories first-hand from our patriarchs and matriarchs? 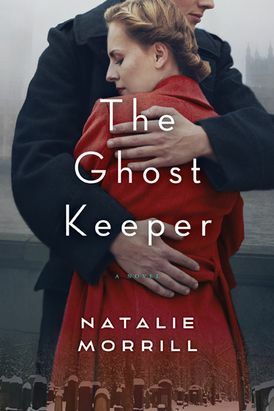 And so, as I cracked open Natalie Morrill’s debut novel The Ghost Keeper, published just a few months ago, I was curious why the author was bringing me to Vienna, in the years leading to the Second World War. Why, out of all of history, did Morrill choose to set her tale in this milieu? Morill’s novel serves as a reminder that despite the extent to which we’ve already explored this time period through film and fiction alike, we are not done telling stories of what happened. While her novel stands on its own as a marvelous tale, it also fits as a piece of the larger body of fiction that explores the complexity of the Second World War. As we strive to learn from history in a robust sense, storytelling such as this is a rich resource. Instead, The Ghost Keeper comes at its story gently. Reading it felt like accepting something very precious from outstretched hands. While at times the narrative loses momentum, Morrill does not set out to tell her story in a straight shot. She folds the story back, revealing its bone-chilling core only within the last handful of pages. Such storytelling treats its content with reverence. Too often fiction set in the World Wars falls into a trap of sensationalism, set in a time of war for the drama of it. But done well, such historical fiction continues to be an opportunity to explore what happened. 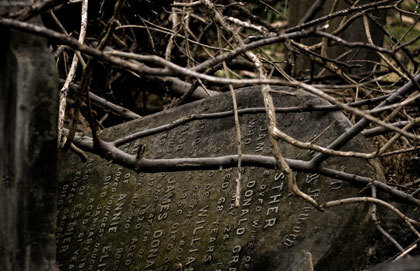 The Ghost Keeper trembles with the weight of lost stories. Josef seems haunted by the question: Who carries the stories of those whose lives were cut short before they could tell them, or build families to remember them? Perhaps this question is part of why we’re eager to explore the Second World War through fiction. 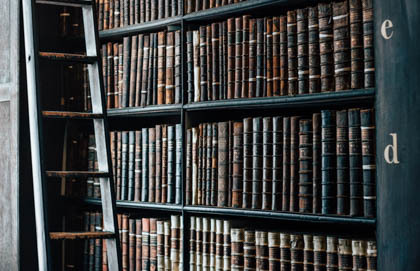 In fiction we can begin to create a space to remember what we can’t possibly know. Throughout this novel, Josef seeks to find a way to honour the lost voices of the Jewish community. After the War, he meticulously scans the photos in the newspapers for faces he recognizes. But his sense of obligation continues to grow beyond his blood relations. He increasingly feels the imminence of his people around him while he continues on as a survivor. In fiction we can begin to create a space to remember what we can’t possibly know. As a whole, The Ghost Keeper deals a deep blow to the temptation to simplify history with strokes of moral absolutism; to neatly sort those who are “good” from those who are “bad.” Instead it explores the places where goodness simultaneously falters and flourishes. It shows us how humans can be both wicked and wonderful creatures, most often at once. Through this exploration, hopefully, it draws the reader closer to understanding (and perhaps even a way to hold the lost in memory the way Josef yearns). This novel shows how hatred can fester among neighbours, coworkers, and friends. It journeys through the faith walk of a man who believes in God but faces death for who God made him. It teases out the tremendous weight of a friendship between a Jew and a Nazi. The Ghost Keeper shows us that we continue to tell stories because there will always be new truth and understanding to uncover in the spaces between the facts. Rachel DeBruyn is a Communications Officer with Cardus, based in Ottawa.